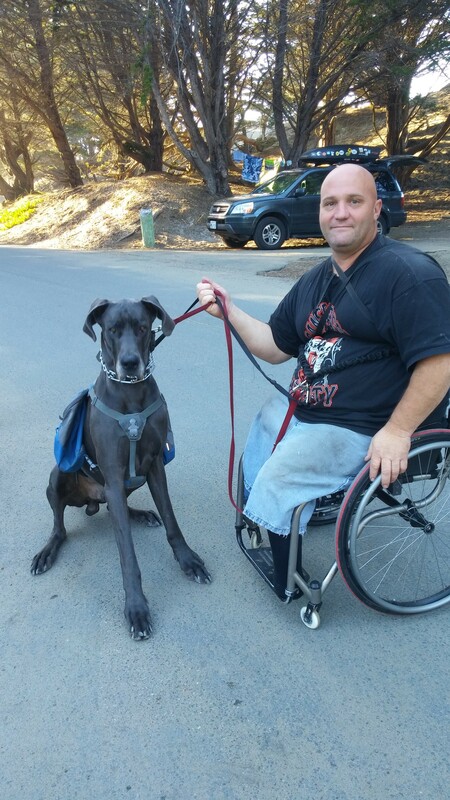 Mike & I enjoyed meeting David, who is camping with his service dog Giant. 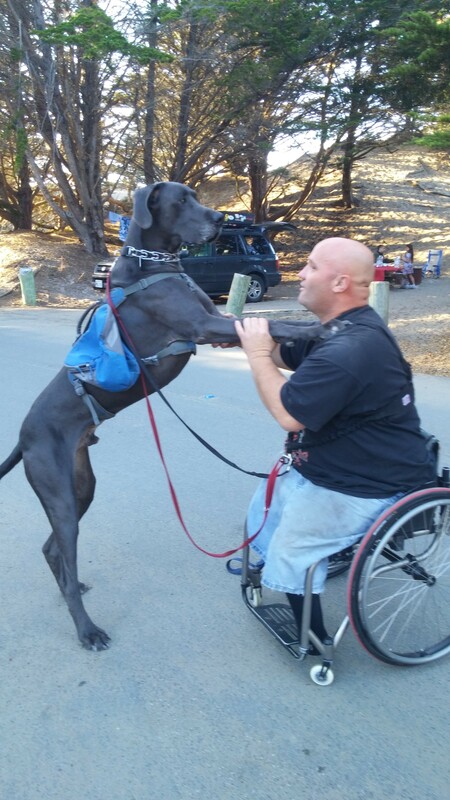 Giant is a Great Dane who helps David in many ways. One is that Giant pulls David along in his wheelchair. Giant doesn’t seem to mind a bit and the affection between David and Giant is very apparent. This entry was posted in Seen at the Campground on August 7, 2015 by admin. Surfboards on the roof – check. 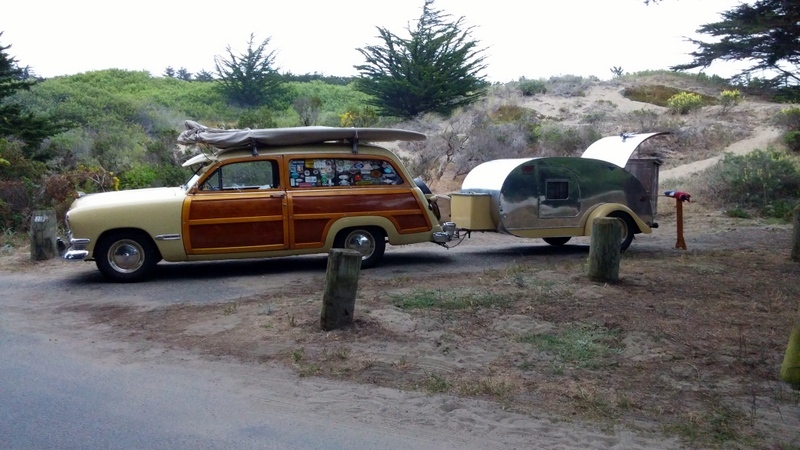 Funky teardrop trailer – check. Twilight in the dunes at Bodega Dunes Campground – priceless. 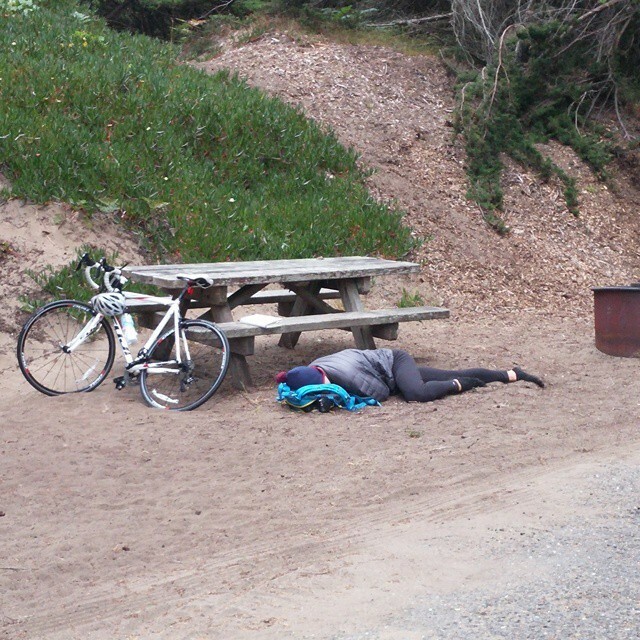 This entry was posted in Seen at the Campground on June 30, 2015 by admin.